Parquet wooden flooring is a floor covering, which will immediately transform your home into a luxurious, comfortable retreat. 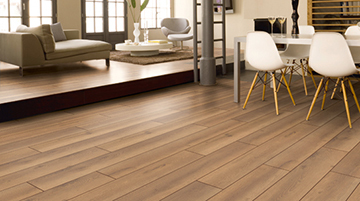 It offers numerous installation patterns (e. g. brick, basket wave, herringbone parquet wood flooring etc. ), is always stylish and the natural material will improve your living climate. What you’ll gain by installing parquet wooden flooring? Durability, reliability, beauty, lower energy consumption and practicality. 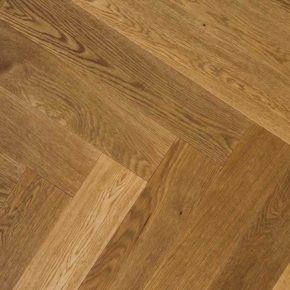 However, in the present article we won’t focus on the countless benefits hardwood flooring parquet brings, we’ll present some parquet flooring patterns and answer questions about maintenance. basket weave parquet wooden flooring pattern. Herringbone parquet wood flooring is what we most commonly encounter in European homes with parquet wooden flooring. The pattern consists of small blocks of wood, placed next to each other in an angle to form a pattern, which resembles herringbone. Parquet wood flooring is actually any flooring made from real solid (or engineered) wooden planks, which we can arrange in different ways. Brick parquet wooden flooring, as the name suggests, resembles a brick wall, chevron planks are connected at a 45 degree angle and basket weave is a complex pattern where small planks are placed perpendicular to each other. If none of the above mentioned appeals to you, you can also go for something more “exotic”, like Chantilly, Petit Marly, Bourbon, Chenonceau, Chantreuse, Aremberg, Fontainbleau, but be careful to hire a professional, who already has experience with some of the more complex laying patterns. Caring for parquet wood flooring is fairly easy, but still requires some basic work. The best way is to establish a daily, weekly and monthly routine, which should involve sweeping or hoovering (daily or when necessary), mopping (weekly) and polishing parquet wood flooring (monthly or every couple of months). When caring for parquet wood flooring you should keep the following in mind: never use aggressive cleaners and never use too much water, because parquet wooden flooring is no friend of excessive moisture. You can also protect your hardwood flooring parquet by placing a rug under your furniture or use furniture pads and never drag anything heavy over it. With that in mind and with the possibility to renew your parquet wooden flooring, you will enjoy your floor covering throughout your lifetime.